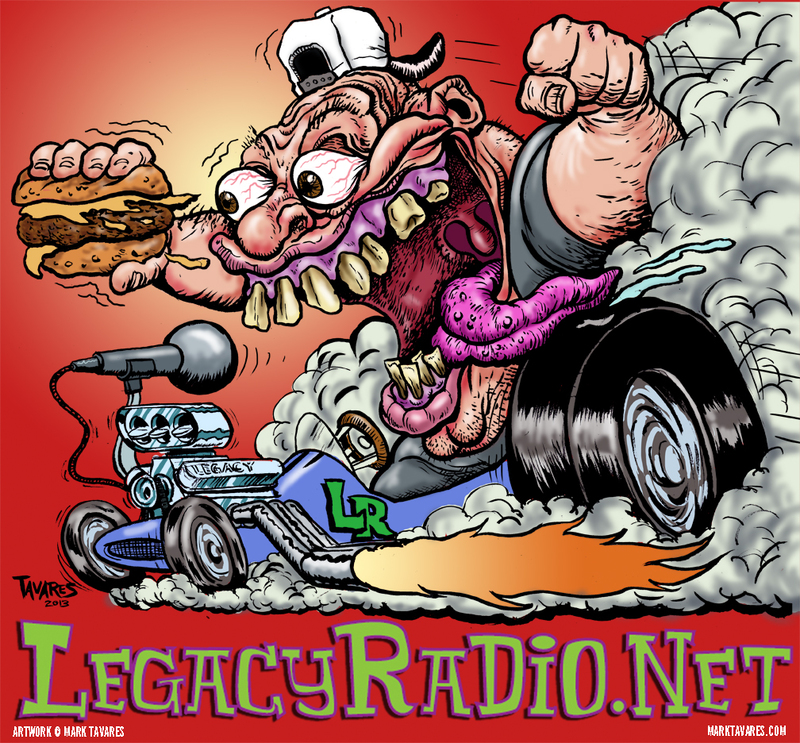 Legacyradio.net – or – Why my job is so much fun! The answer is simple; because I get to draw neat stuff for great folks! A little while back I was approached by the good guys at Legacyradio.net. They have an Internet Radio Show-podcast-thingie in which they talk about anything and everything. It’s all done with their trademark, sometimes off-color, humor. They’re a great group of guys who are having a good time doing what they love. These folks have always been very complimentary and supportive of my work. So, when they approached me a little while back about doing something for their website, I wanted to help out. Life got in the way for a little bit, as it sometimes does, but I finally managed to come up with something I felt matched their sensibilities. Yes, it was also an excuse to channel Ed “Big Daddy” Roth once again. Here it is, for your perusal. I hope you like it!